Stallion Moving Services has Arvada movers for local and long distance service to accommodate residential and commercial moves. Our licensed and insured moving company is a top moving solution if you are looking through Arvada moving companies. Read reviews, get a free quote on a great moving company in Arvada Coloado. Our Arvada movers at Stallion Moving Services have all the necessary knowledge, training, and equipment to get your home or office relocated with absolutely no damages or any bumps on the road. We are a professional Arvada moving company in Colorado with a passion for giving our customers a great moving experience to start off their lives in their new homes. We protect all your furniture with padding and wrapping to ensure there are no scuffs or scratches on their exterior. If you have any heavy furniture, we are able to get that taken care of for you as well. Simply tell us of your heavy furniture while you are getting your moving quote, so we can plan accordingly and send you an extra pair of hands if necessary. Our movers will come to your move with dollies, and more so your move is done easily and efficient. We use modern practices for our booking. Once we have you on our schedule, we will be sending you moving confirmations so that you know that everything is being planned out and all going according to plan. Whether you are moving to Arvada for business or pleasure, or from across town or across the country, let the professional movers at Stallion Moving help you with your Arvada move from start to finish. We will assist you in all aspects of your Arvada move so you can get to work or play that much faster. Our home moving is adjusted to fit the customer’s needs. Whether you need apartment moving, long distance moving, labor only moving, or more. Our residential moving is professional and efficient. We always look for the best solutions for your type of moving. It’s often hard to find quality local moving services. Because we have been in the industry for so long, we know just what makes a good residential moving company. On top of the standard residential services, we also provide piano movers for piano moving service. Our piano movers get the job done quickly and easily. Moving long distance is also made easier with our company. Because of our moving services, small moves, long distance, and more are never a hassle. All packing and moving services are taken care of for you. Options and communication are the two things we focus on the most. Call us today at (720) 880-8554. 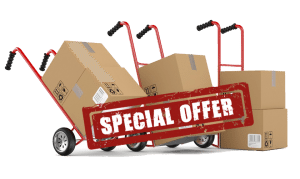 Quoting Arvada Moving Companies? Quote us! Perhaps you are wondering why you can trust our services. There are numerous reasons that account for the reliability of our services. To start with, we do not only offer transportation services but we also offer technical advice to our clients. For example, our office moving clients are assisted in space design and planning. Commercial moving is made easy with Stallion Moving. We also assist them to procure the right furniture for their new offices. On the other hand, we also coordinate team members to work together during the movement of furniture and other office properties from one office to another. In other words, we try by all means to streamline the movement process. We also try to help our clients to minimize their expenditure during their moving process. This is mainly because we often provide packing materials for certain special items. On the other hand, we are committed to ensure the safety of our client’s valuables. We are simply the best moving company that you can think of hiring. A first ring suburb of Denver, Arvada, CO offers a small town feel with very close proximity to Denver’s downtown and all that the big city has to offer. The Old Towne Arvada Historic District provides an eclectic shopping and dining experience as well as boasts the Arvada Center for the Arts and Humanities. We need to move a bunch of tables and chairs and we do not have the appropriate truck to move them, so I called this company to help us. The service was good. It was fast and they were very careful. I will recommend this company to anyone who needs a fast and careful moving service. We need to move a bunch of tables and chairs and we do not have the appropriate truck to move them, so I called this company to help us. The service was good. It was fast and they were very careful. I will recommend this company to anyone who needs a fast and careful moving service. Great service. They know how much I appreciate the way they made my move smooth and simple. When faced with the problem how to get my furniture from the condo to the truck parked several meters away from the building, they immediately decided to carry them on hand and did so with lots of care and without fuss. For them, it was part of their job. They were friendly and professional at both ends. It was an unstressful move because of them. I hired Stallion Moving Company recently and I would like to commend them for giving me an excellent service. They came on time, efficient, and moved fast with regard to both packing and moving plus they handled my things like it was their own. I will certainly recommend this company to all my friends. I could confidently say that they have an excellent service. From first contact with Stallion customer service to the arrival of my furniture in my new residence. Their logistics men were so skillful and agile in doing all the preparation from packing to loading with professionalism and accuracy. The service is unparalleled. Definitely approved. Movers are very careful and meticulously packed all my fragile stuffs, heavy and expensive stuffs. They are good and diligent. I never heard any complaints rather they deliver service that are excellent. Great moving service! They moved my things quickly and efficiently; always trying to save my time, make everything as soon as possible. They were very efficient and helpful. Would recommend. The movers were fantastic! Couldn't be happier with how it went.